I've been making Energy Bites for years. I make several batches at a time because my kids just love them - for breakfast, snack, and even dessert! They are so versatile and so easy to make! It's a great way to clean out the pantry too - you can add graham crackers, shredded coconut, candies, pretzels, and more! Since I've been trying to up my protein intake, I decided to make new varieties. 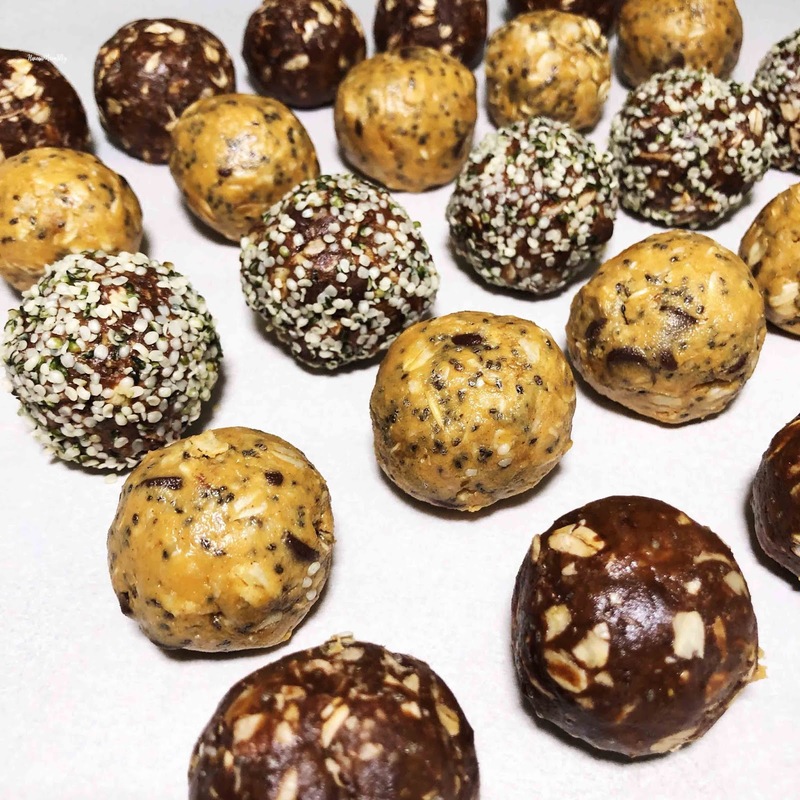 I recently made three different types - PB + Protein; Cocoa + Protein, and Cocoa + Protein + Hemp Seeds. I took the basic Energy Bites recipe and doubled it (2 c old-fashioned oats, 1 c pb, 1 c ground flaxseed, 1 c chocolate chips, 2/3 c honey, 2 t vanilla), and excluded the coconut. I mixed everything together with a scoop of vanilla protein powder. Refrigerate for at least an hour before rolling into 1" balls. For the Cocoa Energy Bites, I added 1/2 c cocoa to half of the above mixture before rolling into balls. I then rolled some of the bites into Hemp Seeds. 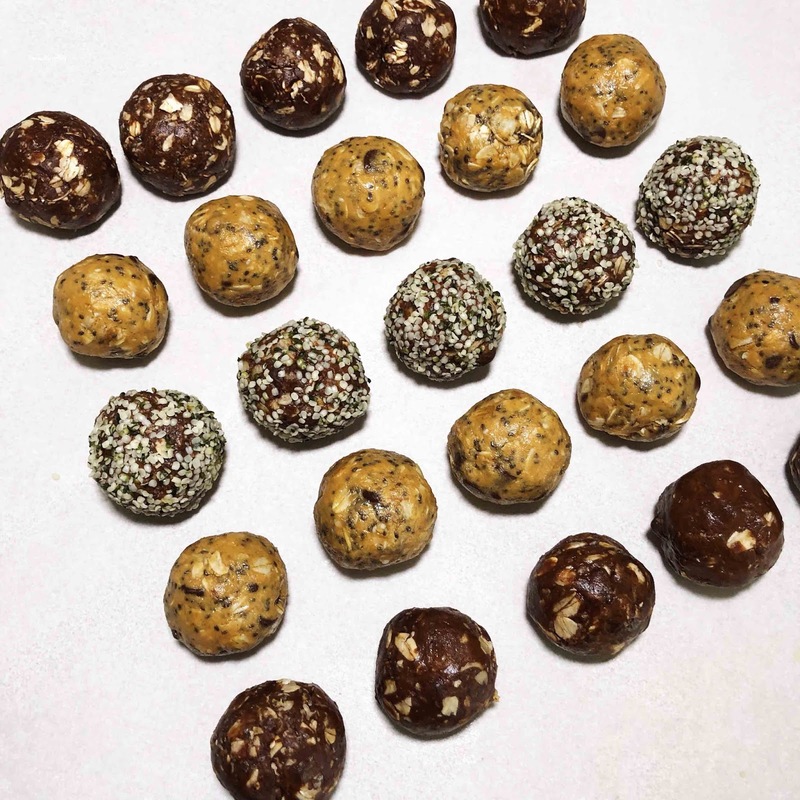 The kids loved them, and my fave is actually the Cocoa + Protein + Hemp. Definitely satisfies the hunger and the sweet tooth!